Your Excellency: Unearned Accolades – Royal Times of Nigeria. 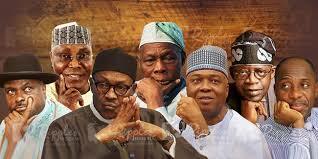 We Nigerians are far too quick to assign unearned titles to leaders who are yet to prove their competence. “Your Excellency, Sir” is most obsequiously attached to governors, local government chairmen, and senators regardless of their political abilities. Winning an election is not a feat that warrants such flattery, especially when the Nigerian political culture is dominated by violence, manipulation, deception, and intimidation. What’s even worse is the dismal figures of voter turnout. Last year, only 3% of registered voters turned out for the Lagos State by-election. Low voter turnout invalidates political process by weakening the popular vote. However, this will surely not stop us from showering chosen leaders with accolades and titles, even when less than 3% of the eligible population voted for the leader in question. We are always ready to hail and salute our elected representatives when all they often know how to do is deface public property with pictures of their complacent faces. Indeed, even when our leaders are on trial for corruption and crime, we find a way to assign them undeserved titles. Some may argue for the need to respect elected officials. What they fail to note is that these officials, often found guilty of all kinds of negligence and corruption, would be given the status of common criminals if they were less rich and powerful. There is nothing excellent about them lining their pockets with our money. There is nothing excellent about scaling fences and throwing chairs in Houses of Assembly. And there is certainly nothing excellent about leaving a country with so much potential in the same state in which you found it. Until we see the country as a whole begin to reach excellence, the title “your excellency” will be nothing more than a lie, a premature assertion contributing to Nigeria’s political and economic stagnation. Fellow Nigerians, please scrutinise your local and national leaders before assigning them such titles. Your so-called Excellency’s are, more often than not, far from excellent. May God bless our dear country, Nigeria. Does Our President Possess Too Much Power?